Christmas gift giving is making a real comeback in corporate culture. It is such an effective way to thank your clients, suppliers and employees for the part they have played in your business. Call Lee on 01360 44006 and he will help you create thoughtful and tasty personalised corporate gifts hampers – whether you’re looking for individual personalised client gifts or multiple staff rewards. We also offer bulk discounts, fully bespoke selections and worldwide delivery. The trend this year is towards personalised corporate gifts which means it really is the thought that counts. We can deliver gifts that are both thoughtful and tasty. Our hampers are hand packed to order in our Stirlingshire workshop in central Scotland so adding items to one of our themed hampers or creating a unique hamper for your best clients or as a thank you to your employees is what we do – and with pleasure. Giving a gift which helps to make Christmas Day preparations so much easier is a lovely thought which is why we’ve put together the Gigha Christmas Gift Box. 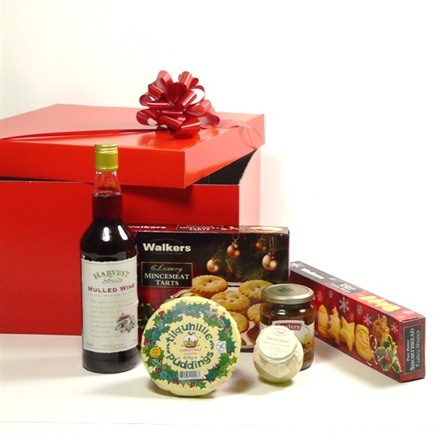 Presented in a red box with a bow and personalised card, it includes mulled wine, classic Christmas pudding, mince tarts, shortbread, spiced fruit chutney and brandy butter. Everything you need for a wonderful Christmas day except the Queen’s speech. Add pizazz to a special client’s family Christmas with our Luxury Christmas Hamper. It includes an impressive selection of festive treats featuring wonderful wines, chocolates, cheese, biscuits, cakes, soup, pate and haggis. We have also added classic Christmas pudding, mincemeat tarts and Scotch bun to ensure that there is something for everyone. Beautifully presented in a highly desirable traditional wicker hamper with a hand tied bow and including a personalised gift card. It is sure to impress. A little bit of what fancy does you good, especially if it is port and cheese, salmon and champagne, whisky and oatcakes or another successful partnership. Our gift baskets are for those moments when you can sit down, relax and tantalise your taste buds. Looking for more ideas? 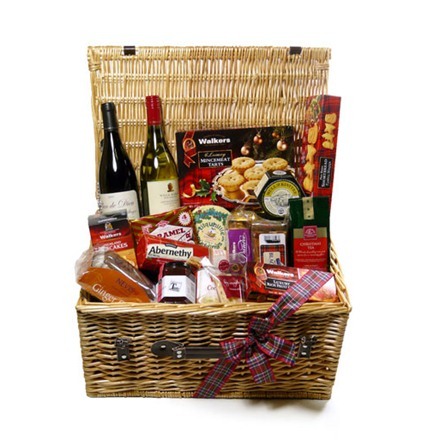 Take a look at our range of Christmas hampers here. We have over 10 years experience in providing a fully tailored corporate gift service and have developed an extensive client list because of our fast, flexible and efficient service. From individual personalised client gifts to multiple staff rewards we can design a package to suit you – including bulk discounts, fully bespoke selections and worldwide delivery. Call Lee now to talk about your requirements on 01360 44006 for a FREE NO OBLIGATION QUOTE or complete our enquiry form here. 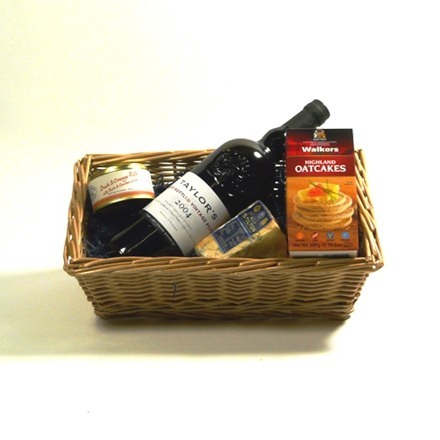 Hampers make great corporate gifts for clients, especially around Christmas time! It’s a shame I’ve only just found this site, i’ll bear you guys in mind for next Christmas because your hampers look delicious. The Luxury Christmas Hamper looks like it’d last about a day in my house! http://www.expressgiftservice.com has a huge range of Gift hamper for everyone. Whether you are looking for beautiful chocolate hampers, gadget hampers, fruit hampers, beauty and lifestyle hampers or any other type of hampers; you can avail them all.